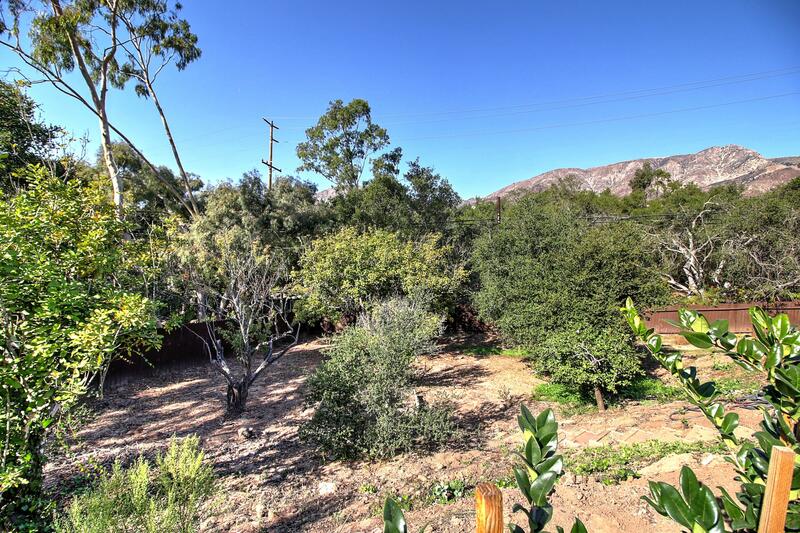 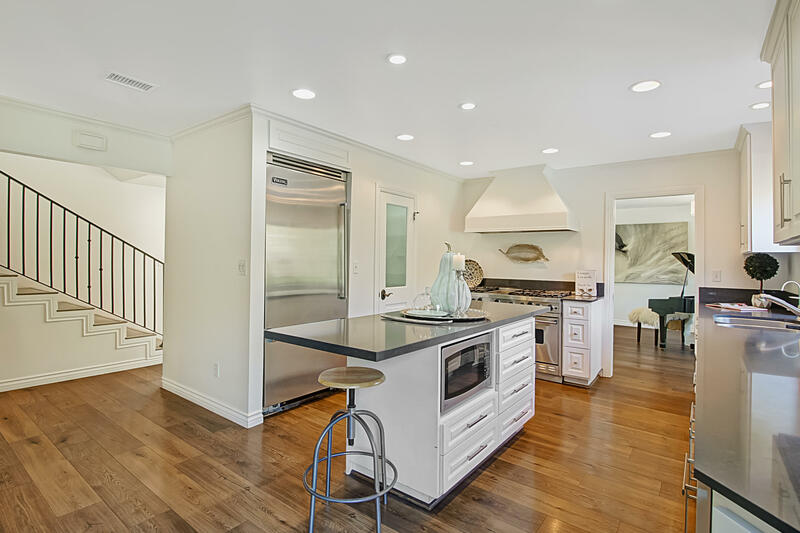 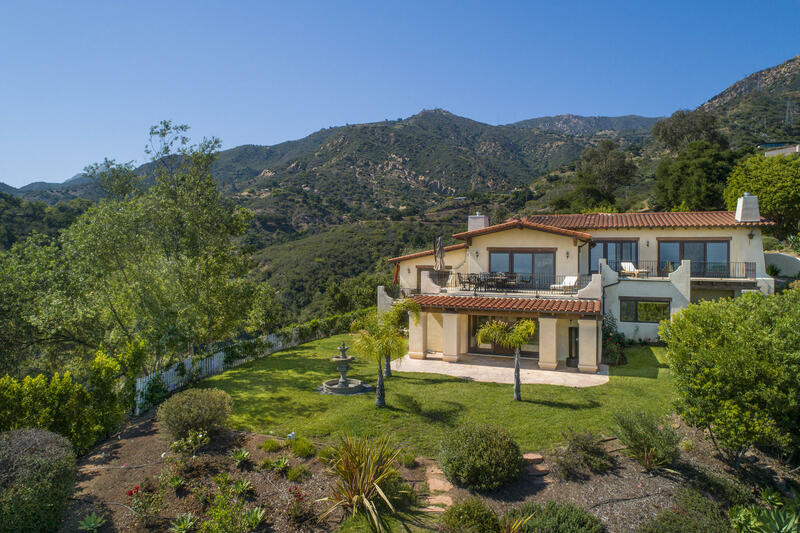 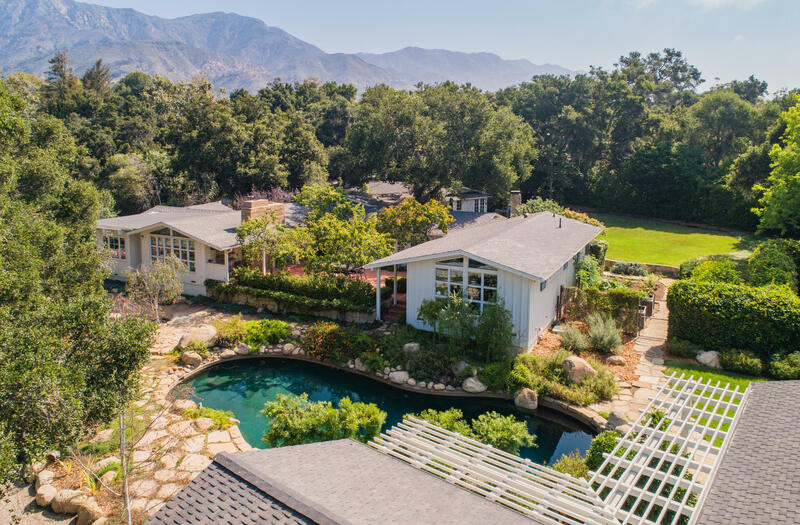 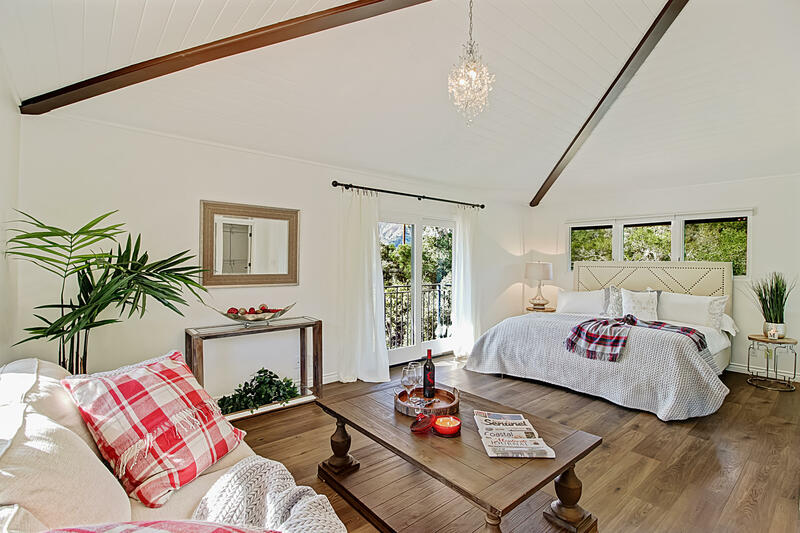 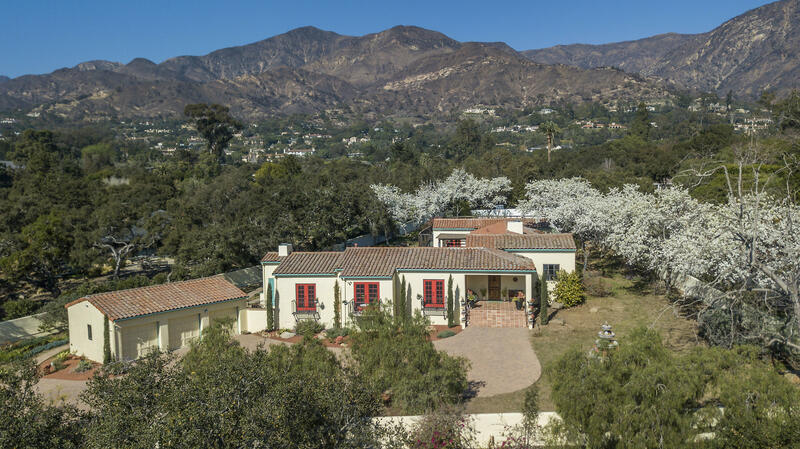 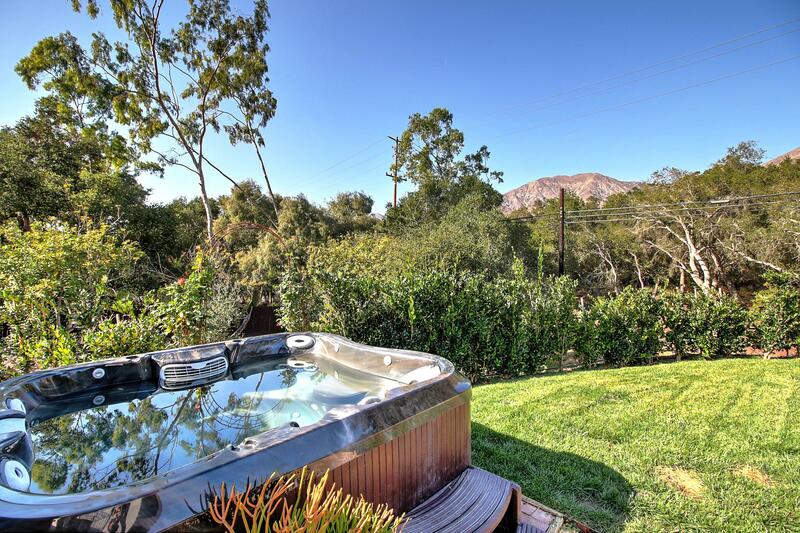 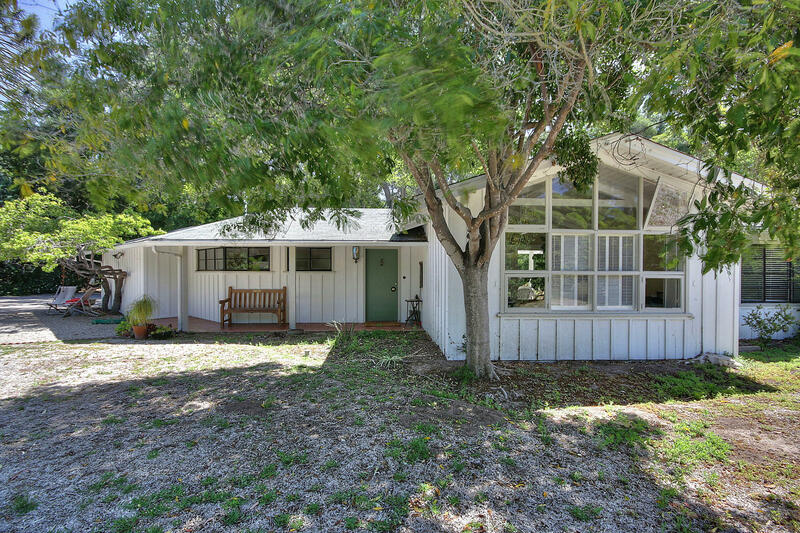 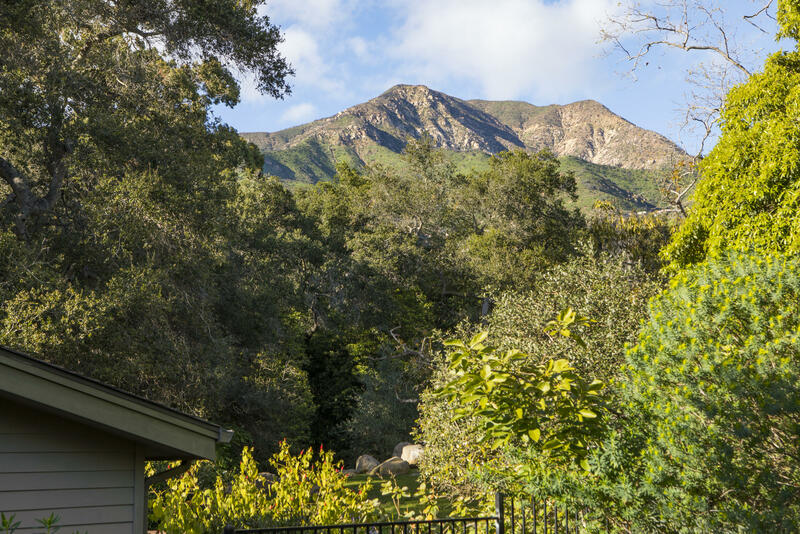 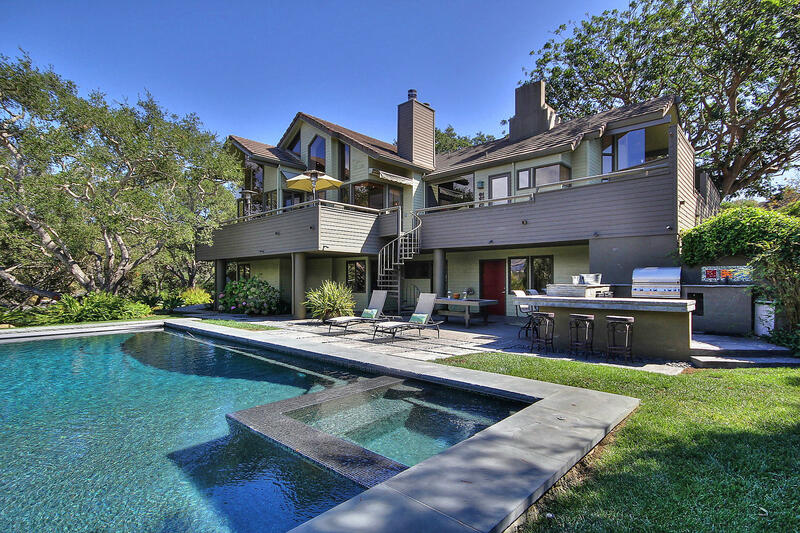 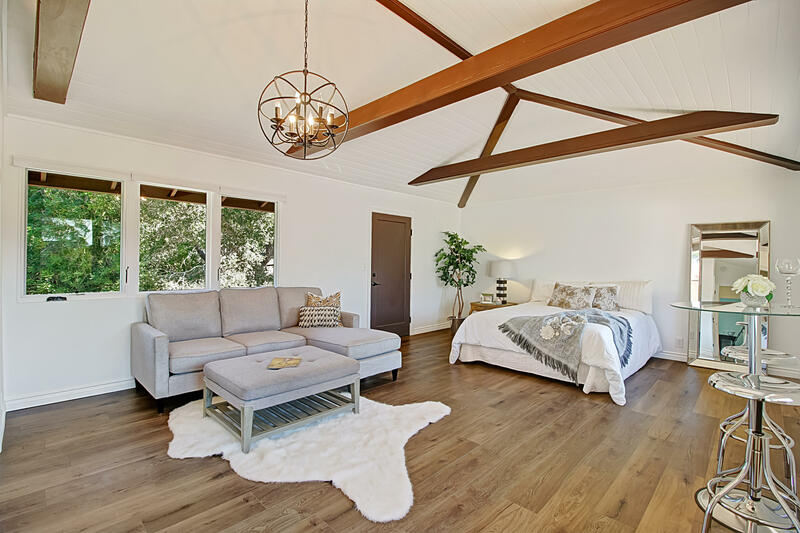 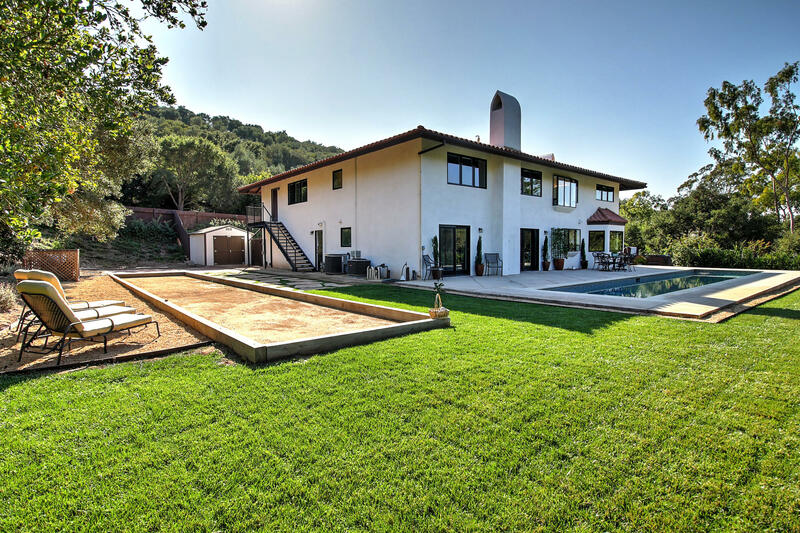 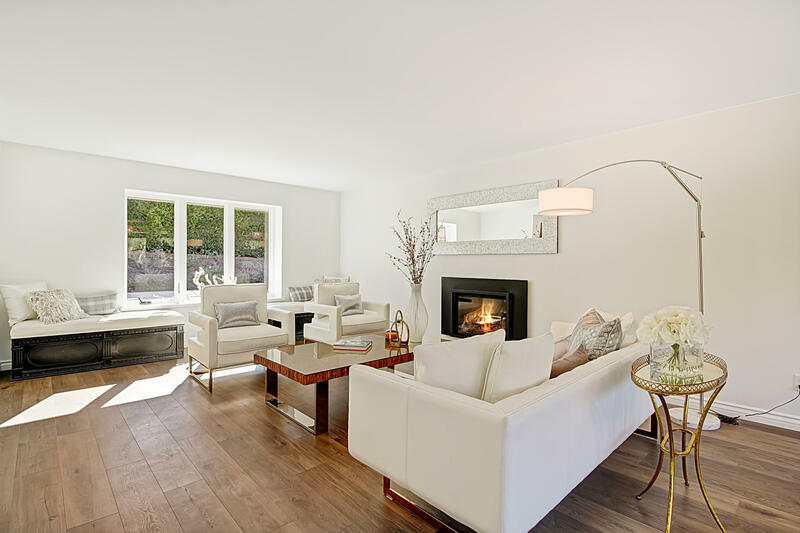 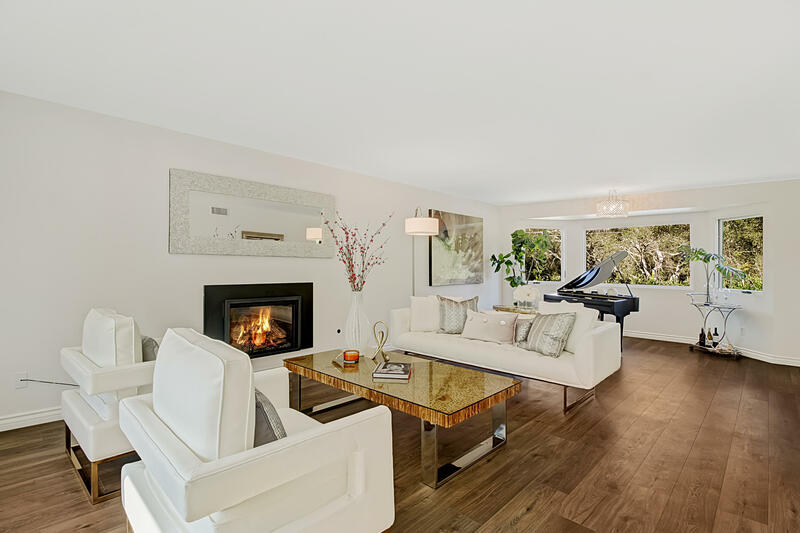 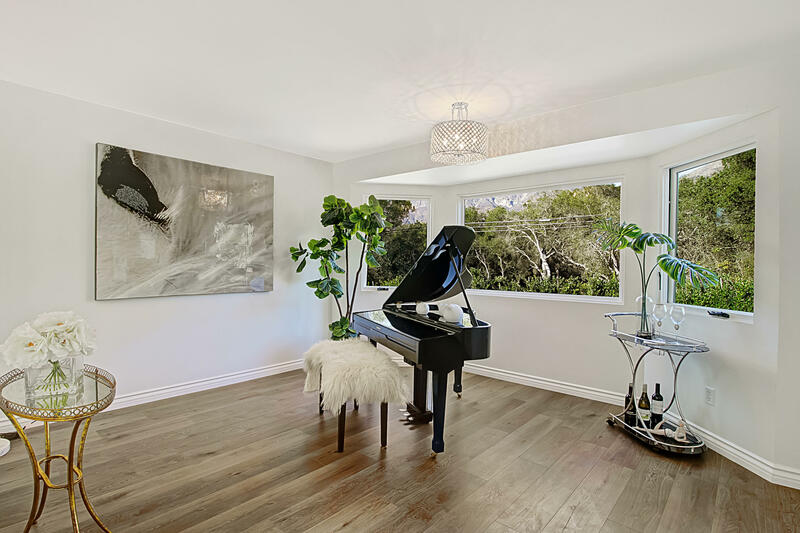 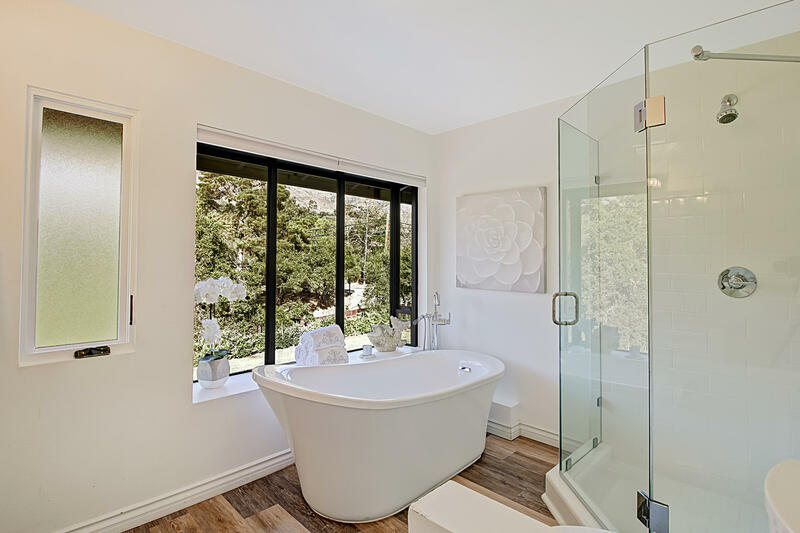 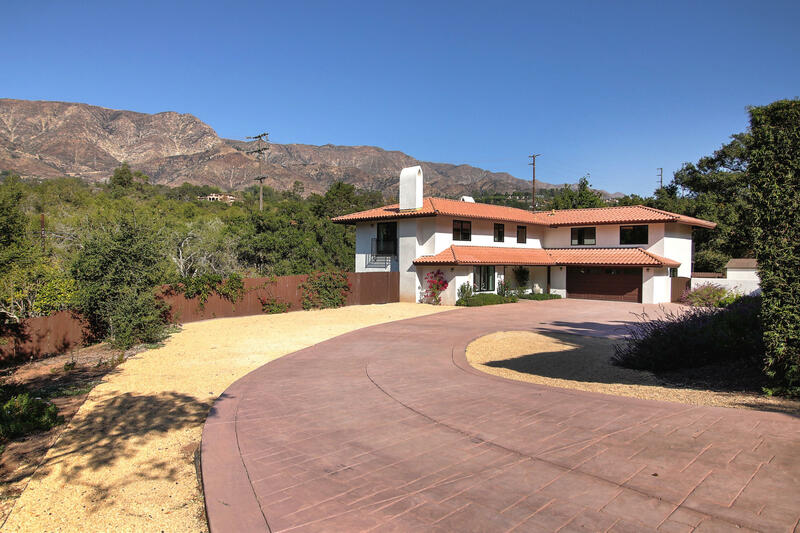 Tucked away on a quaint country lane, and nestled behind a tall privacy hedge sits a beautifully remodeled Montecito home with spectacular mountain views.This home is an entertainer's dream. 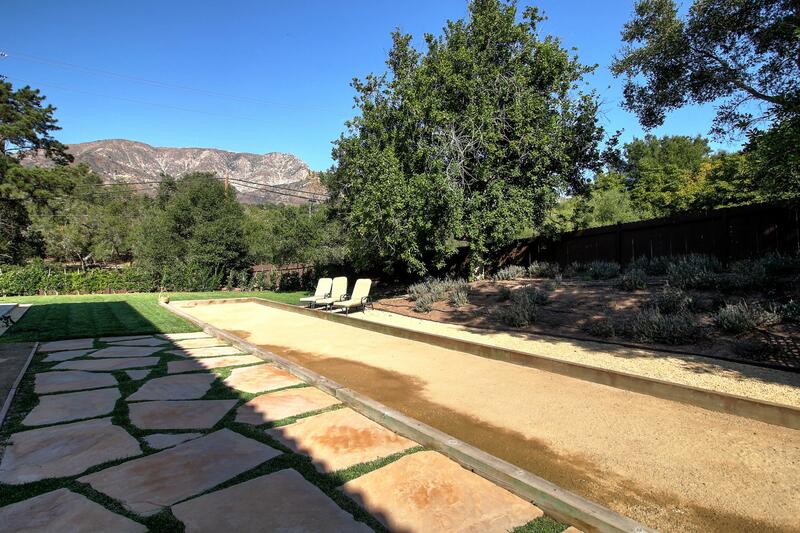 It is all decked out for lazy outdoors fun with a gorgeous new 55-foot pool, hot tub, bocce ball court, expansive patios, and established gardens.The easy-living, flexible floor plan has a spacious light and open feel, making this home a wonderfully warm place for all of life's moments. 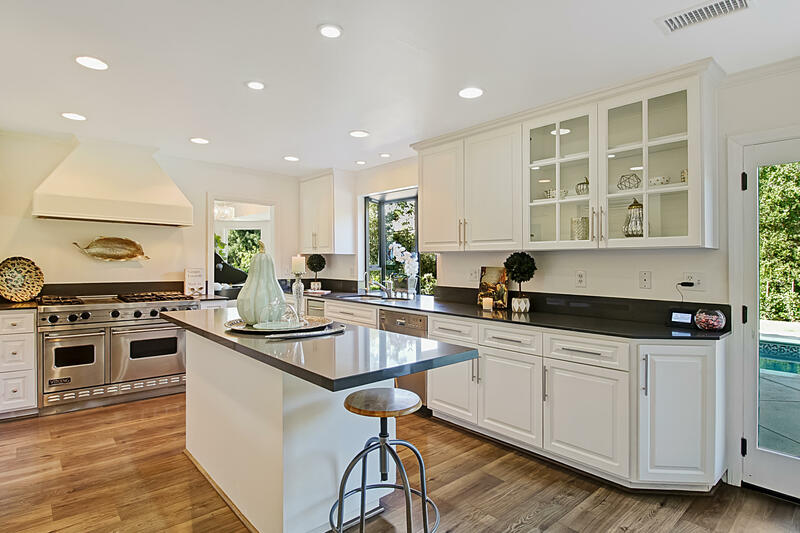 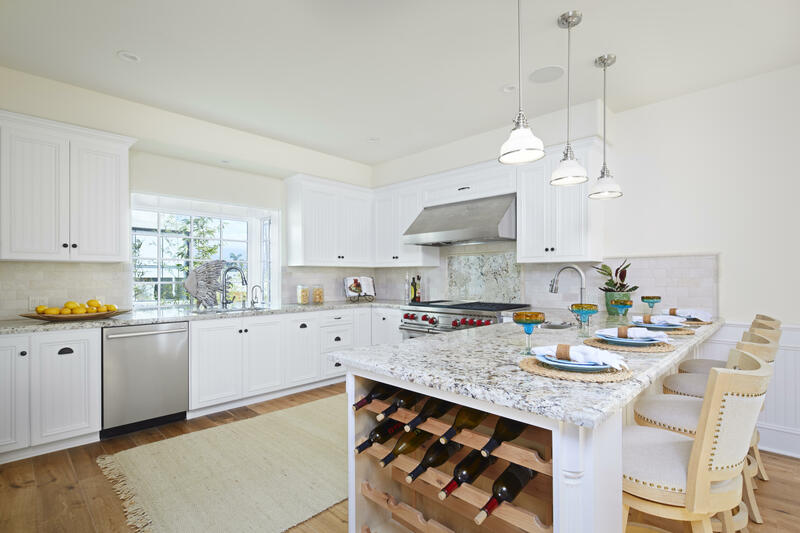 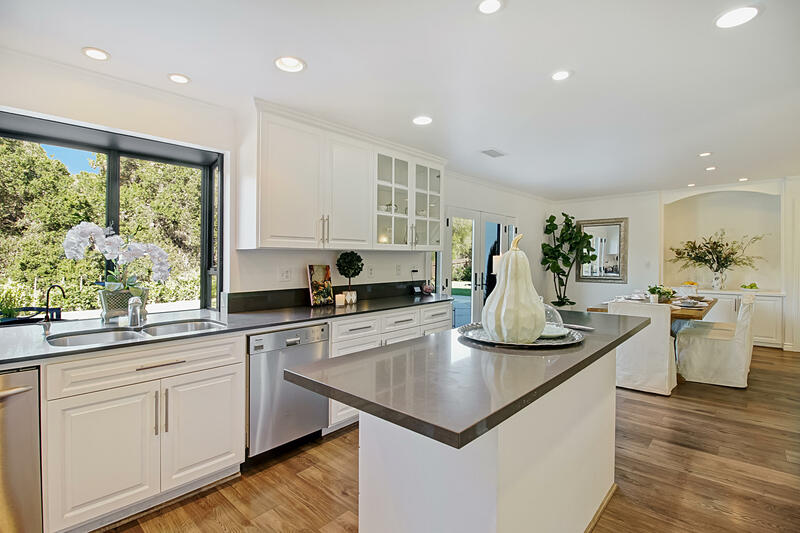 The contemporary kitchen with its Viking appliances and walk-in pantry opens to a dining area with built-ins, as well as to the great outdoor spaces. 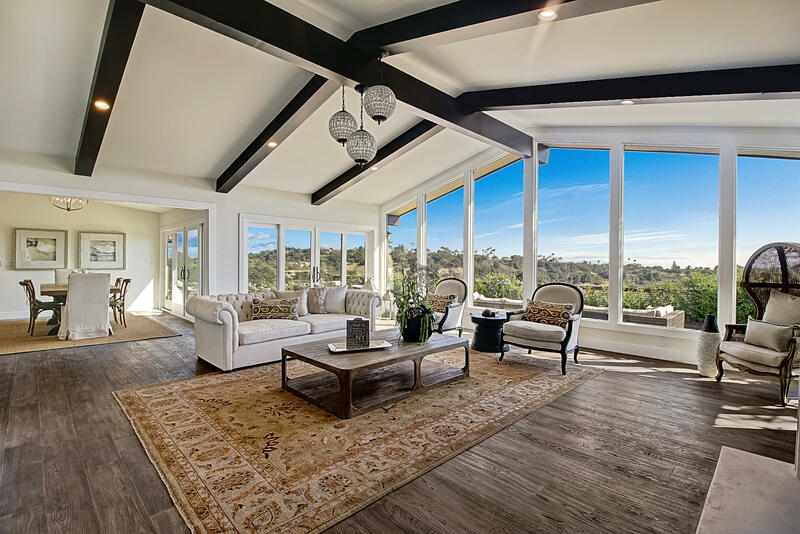 The heart of the home, the oversized living room, has a gas-log fireplace to curl up in front of on a cool winter's evening, and large picture windows to enjoy the stunning mountain views. 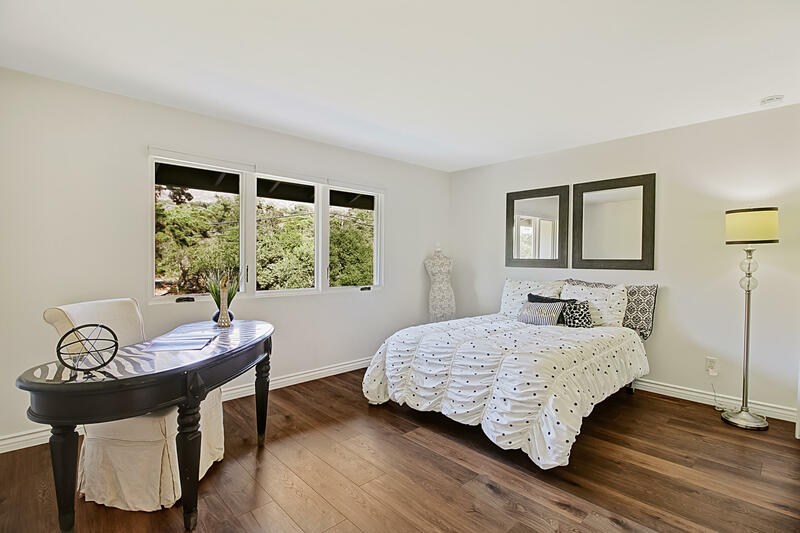 There are wide plank hardwoods throughout the entire home and plenty of storage on both floors. 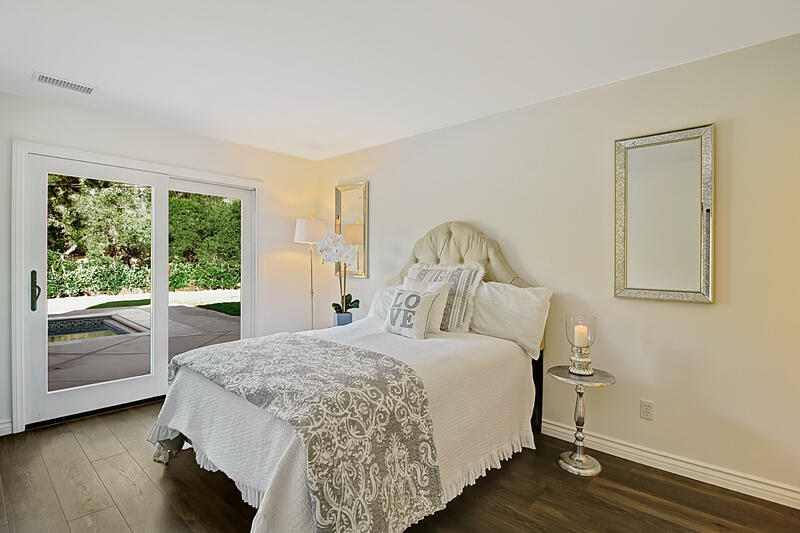 The downstairs Bedroom Suite with its own private entrance could also become the perfect office. 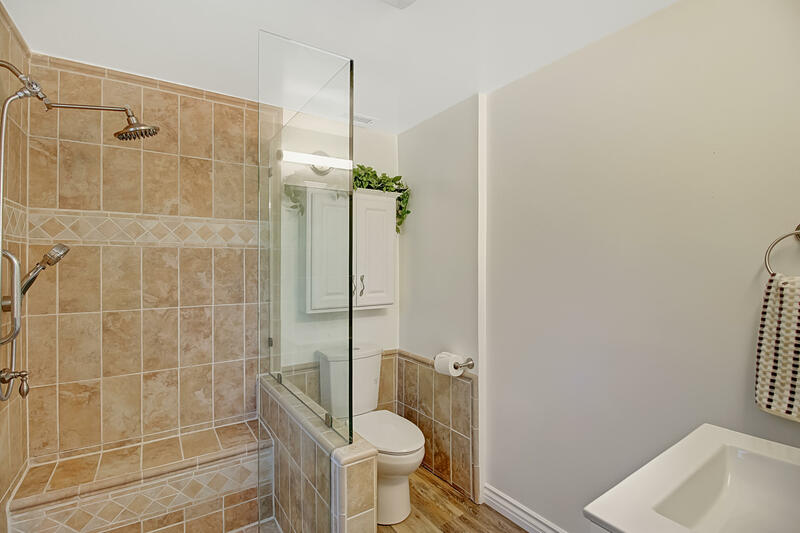 Upstairs are four more bedrooms including two spacious Master Suites situated on opposite wings. 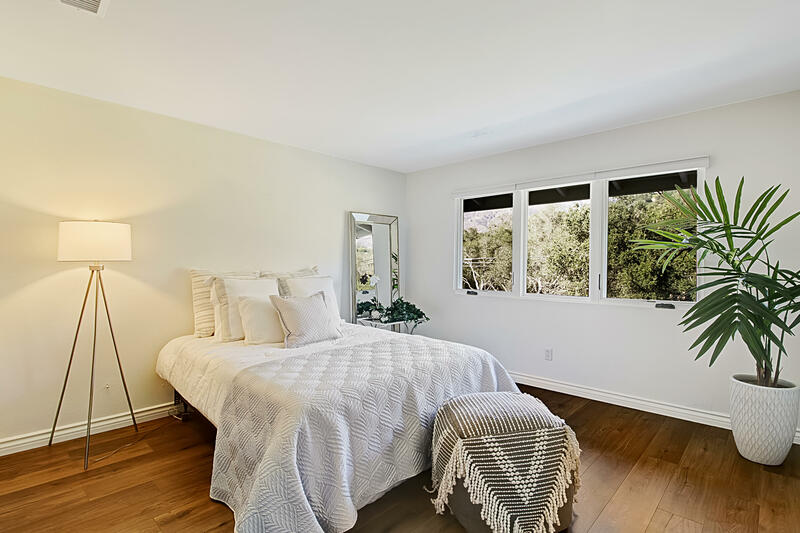 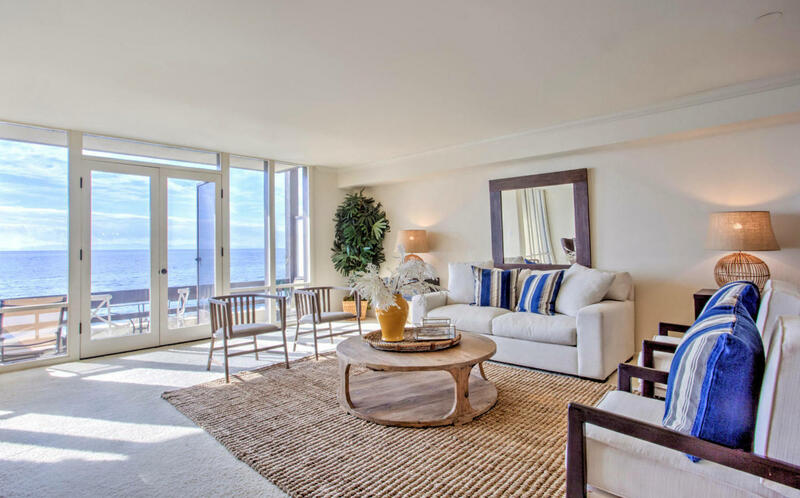 The largest Master Suite has a sitting area, Juliet balcony, a walk-in closet as well as three extra closets, and a gorgeous spa style bathroom. 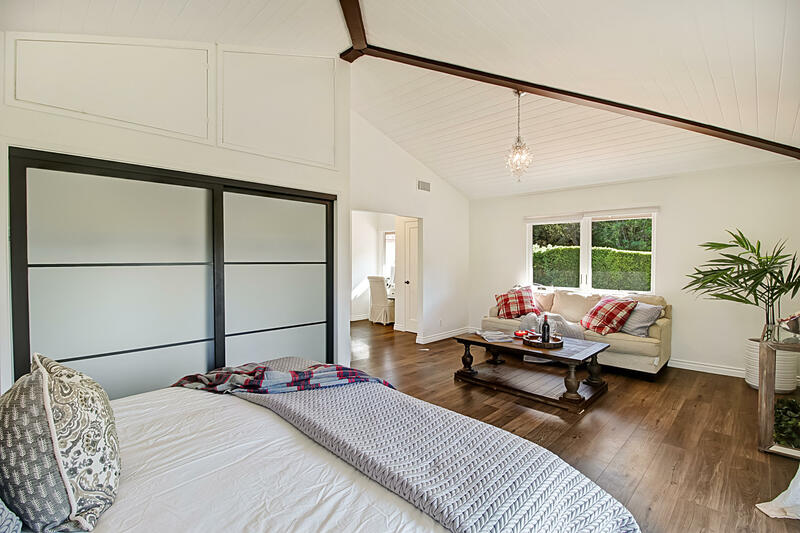 The other Master Suite has a private entrance from the outdoor patio area, and could work as a game room or even an in-law suite. 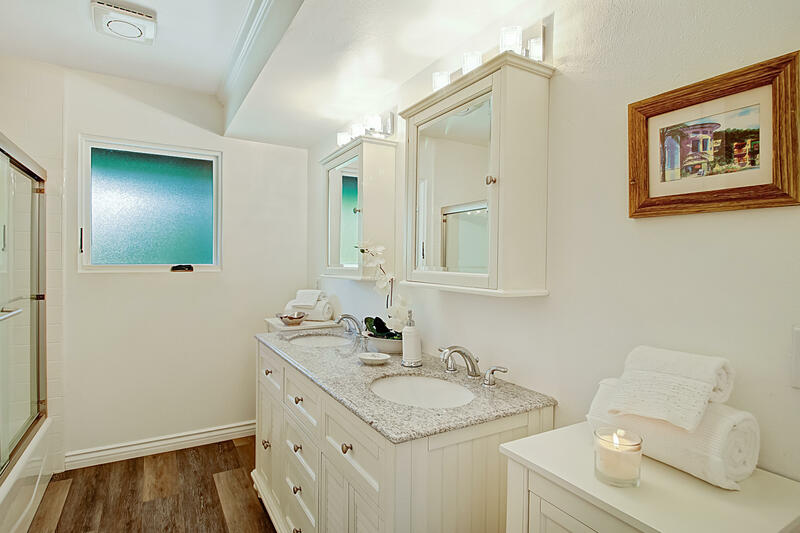 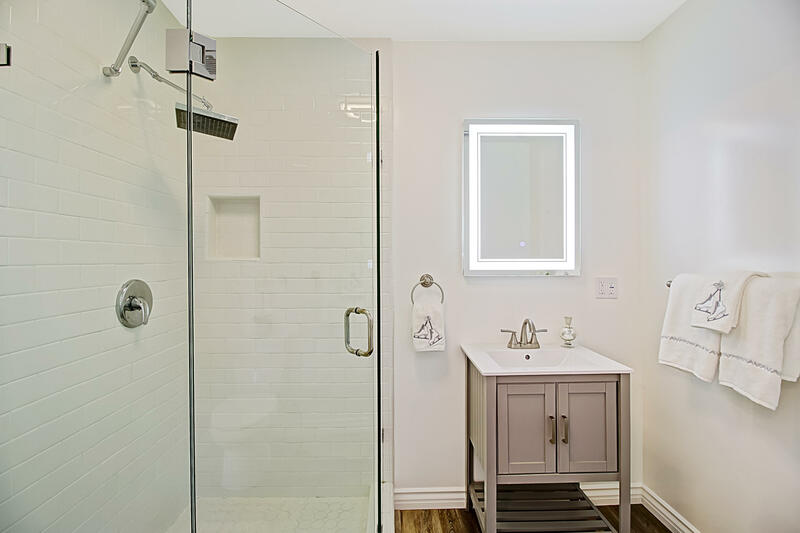 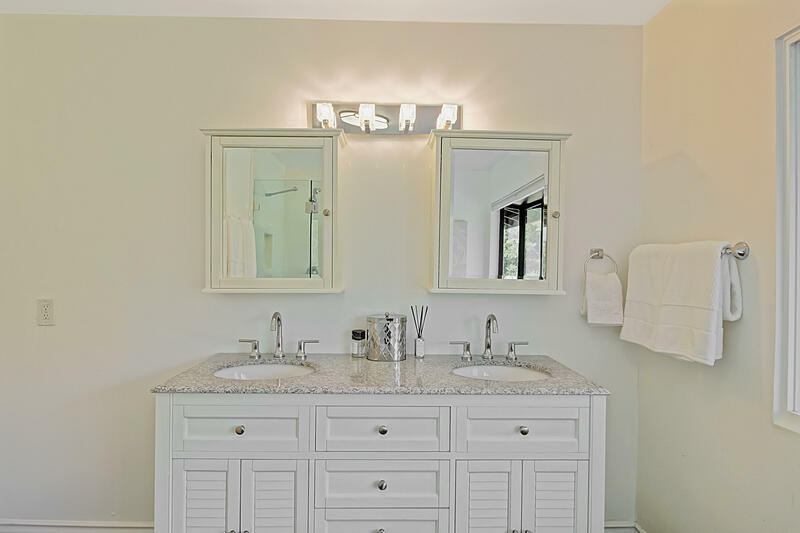 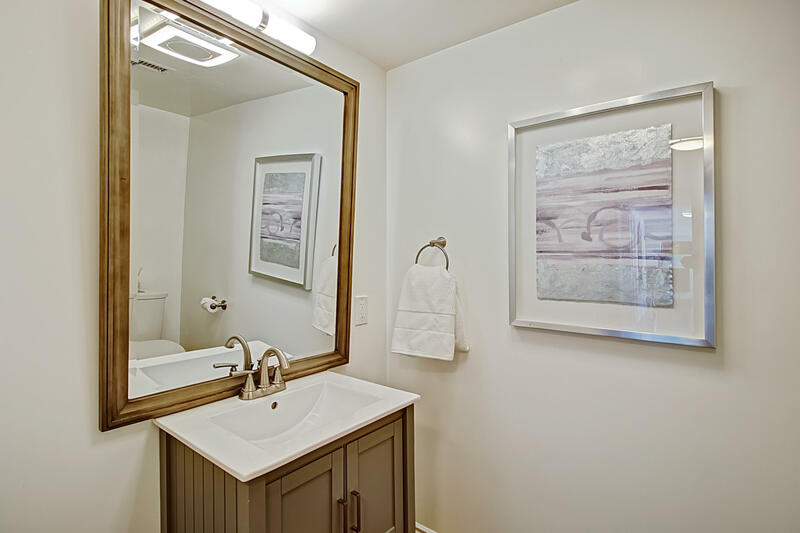 Two more roomy bedrooms are set adjacent to a large bathroom with double vanity sinks. 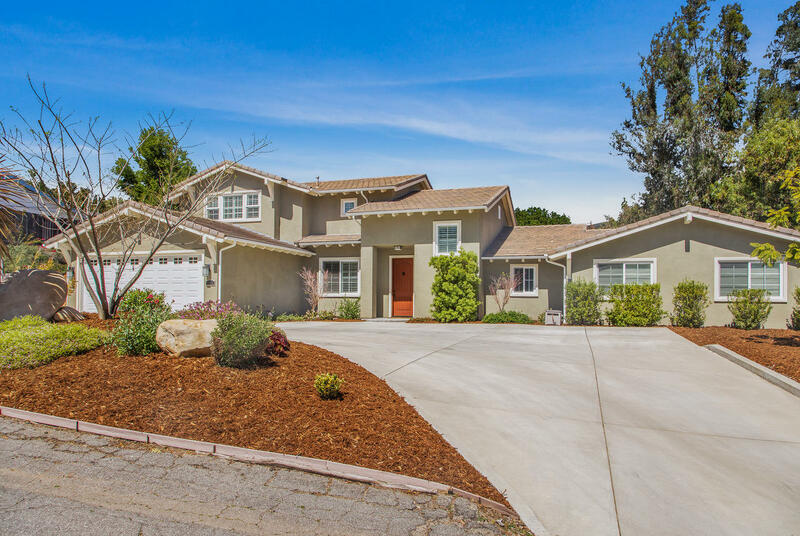 Not only is there an oversized double garage, but this elegant home on over half an acre has a sweeping motor court for ample guest parking. 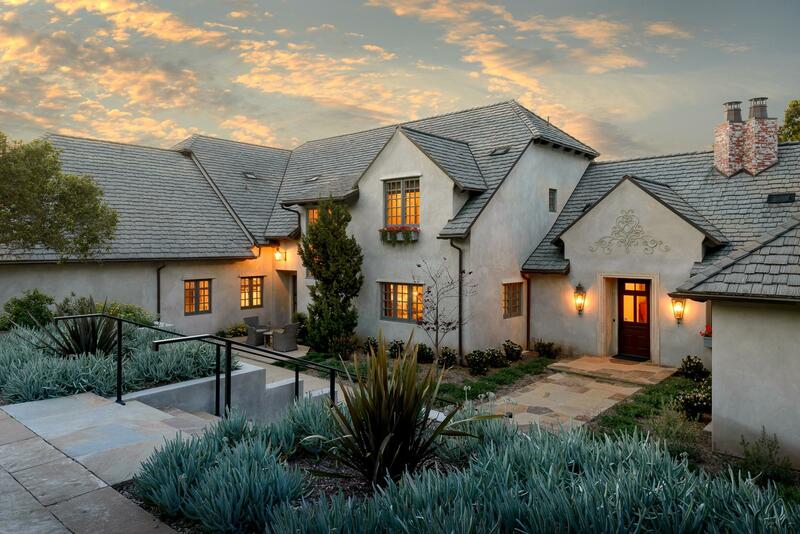 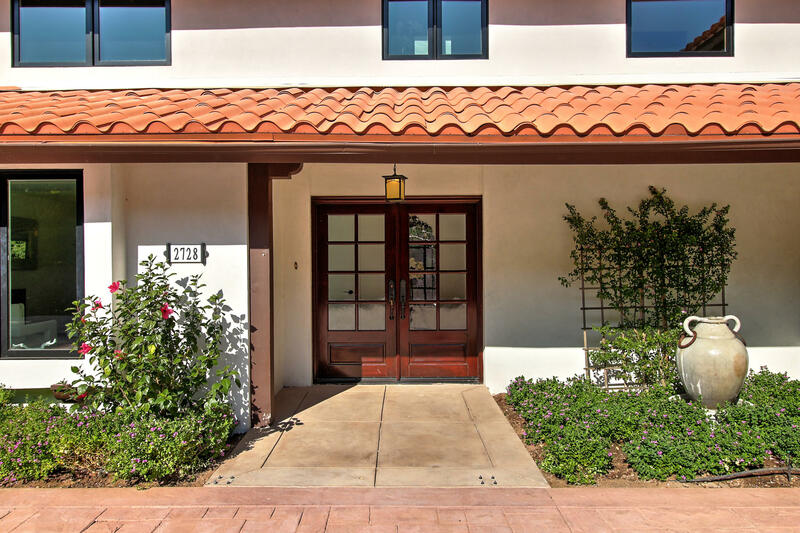 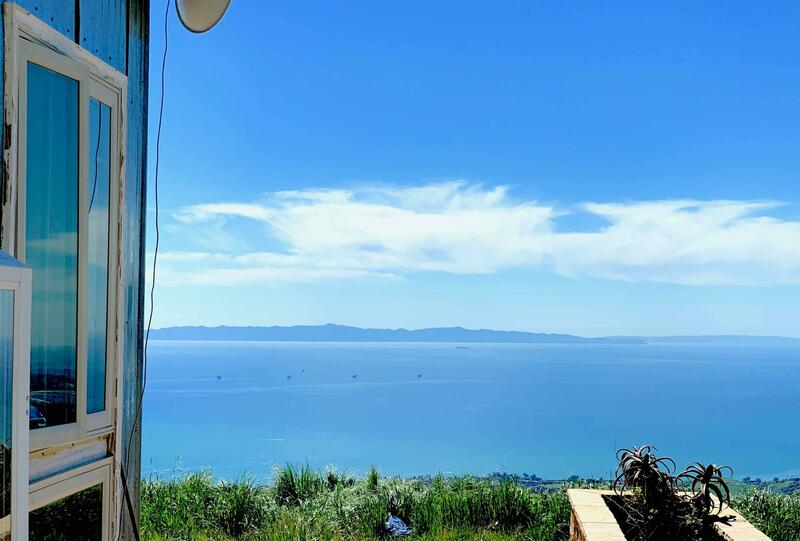 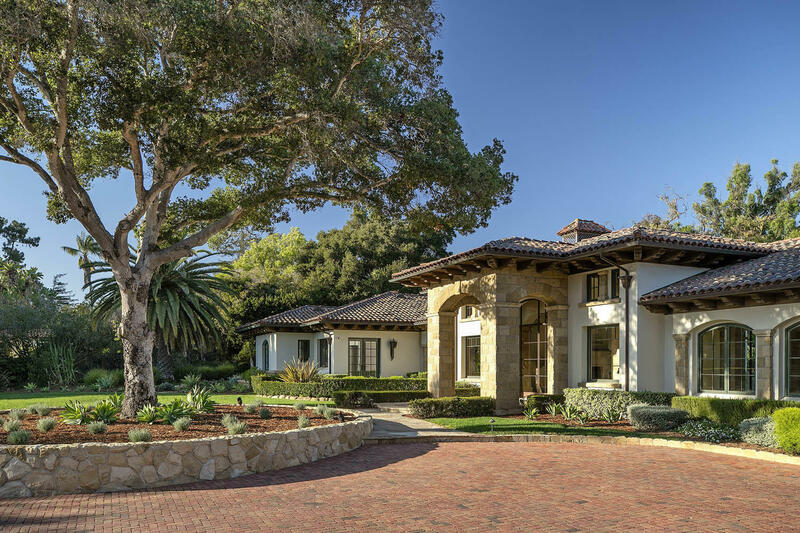 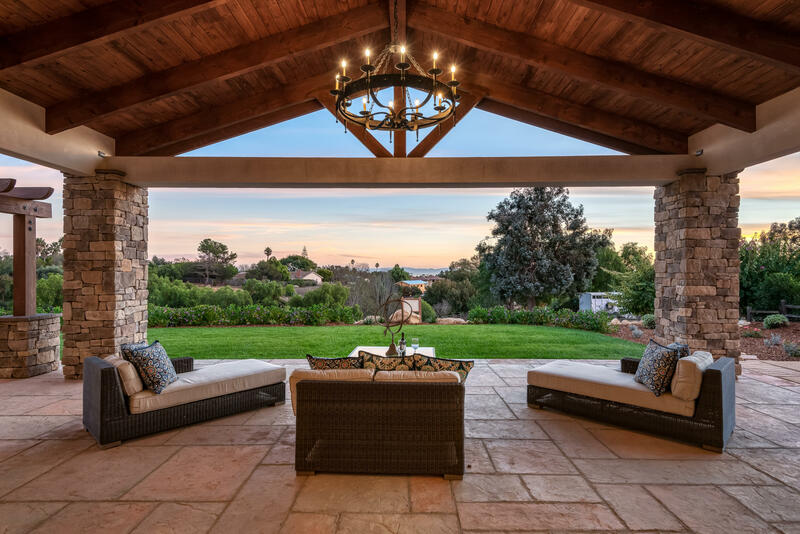 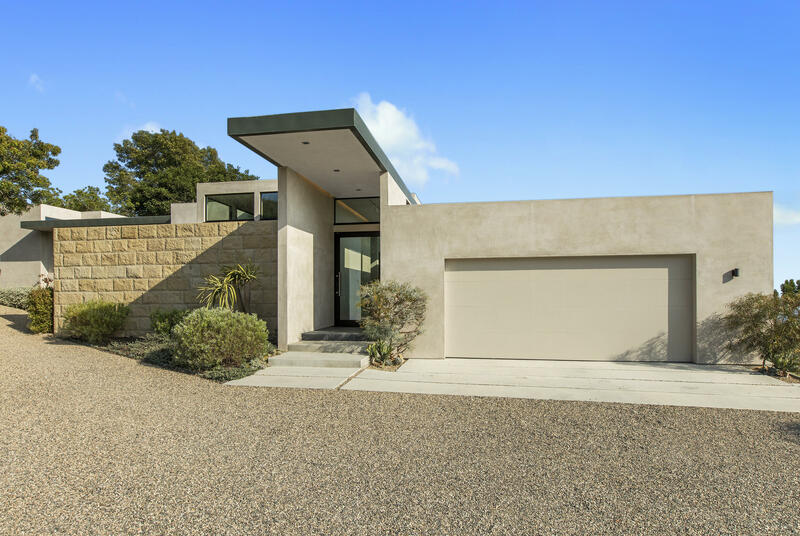 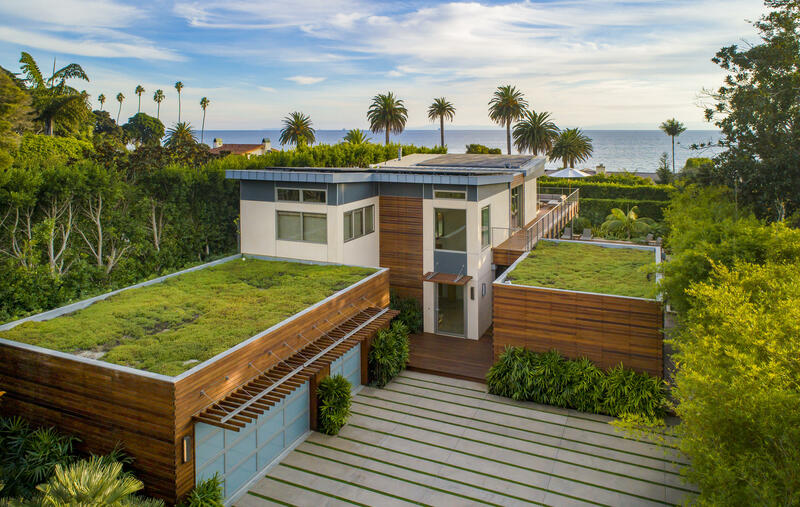 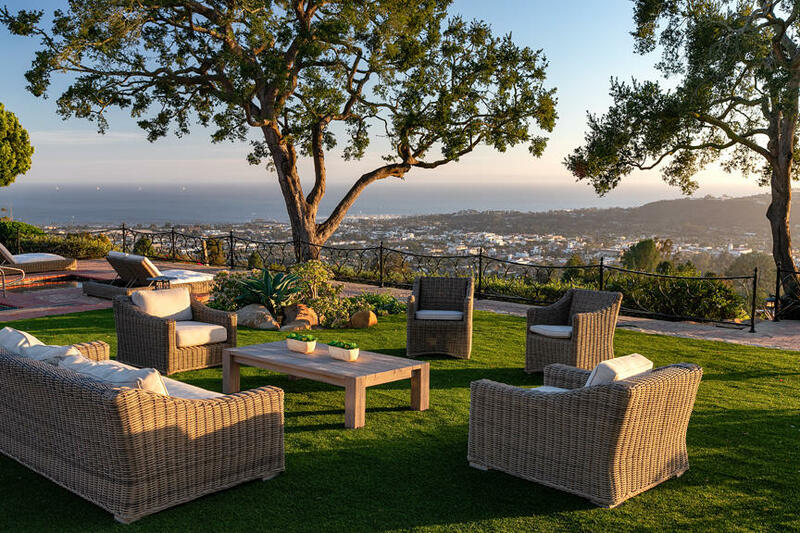 2728 Macadamia Lane is the perfect blend of elegance and ease, and a wonderful place to call home in a beautiful, coveted Montecito setting.